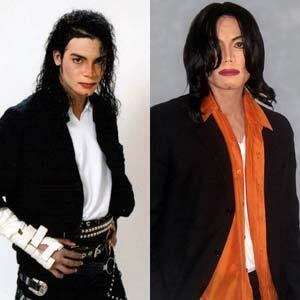 Kenny Wizz (both in photo) has an uncanny resemblance to the late Michael Jackson. Filipinos will once again be able to watch his performances in a series of shows that will take place across the Philippines. Kenny Wizz is acknowledged worldwide as Michael Jackson’s number one tribute artist. From Michael’s reed-thin frame and cleft chin down to the icon’s high-pitched voice and patented Moonwalk dance step, Wizz is Jackson’s, well, deadringer. Wizz has already proven this to Filipinos through a series highly successful shows held in Manila last year. The shows coincided with the two-week run of the Michael Jackson music-documentary, This Is It! Concert producer Steve O’Neal, who brought Wizz to Manila then, had this to say about the man: "I always had the notion that nobody comes even slightly close to the King of Pop when it comes to dancing prowess and musical genius—but after spending a week with Kenny Wizz and watching him perform, I ate my words." O’Neal is bringing Wizz back to Manila by popular demand in another series of shows dubbed The Michael Jackson Experience. He will perform at the Main Ballroom of Hyatt Hotel & Casino on April 23 to kick off the series of shows that concludes on May 8 in Bacolod. The other concert schedules are as follows: April 24 at Pagcor, Tagaytay; April 25 at Ynares Sports Complex in Antipolo; April 30 at in Cebu; May 1 in Dumaguete; May 2 in General Santos City; May 7 in Davao; and May 8 in Bacolod. Born in Los Angeles, California, Wizz grew up listening to R&B, soul and pop music. He went into street dancing in his teens, just when Michael Jackson just gone solo from Jackson 5. In his 20’s, Wizz was asked to perform in Atlantic City where he perfected his Michel Jackson act. Back then, Jackson was already at the height of his career with the release of his best-selling album, Thriller. Wizz eventually signed a contract for 11 years as a tribute to Michael Jackson in Las Vegas for the show Splash at the Riviera Hotel and Casino. Some of MJ songs that are staples in Wizz’s set are "Jam," "Scream," "Smooth Criminal," "Billy Jean," "Beat It," "Thriller" and "Heal The World." In real life, Wizz shares many similarities with the King of Pop. These include doing his own recordings and choreography, maintaining a vice-free lifestyle and devoting almost his entire day in preparing for his show and touring the world to perform.